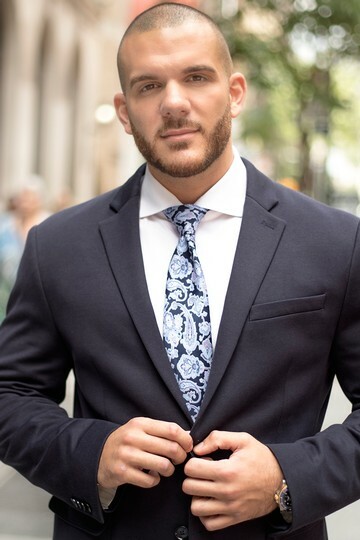 Hailing from Queens, Roberto comes from a family of real estate investors and has been ingrained in both New York City and the real estate industry his entire life. His expertise has expanded into many different arenas and transaction types over the years, including buying, renting, and selling, which is integral knowledge in successfully guiding his clients to a closing. Through several service-based jobs in the hospitality and automotive industries, Roberto has developed a transparent and straightforward approach to tackling any questions or concerns his clients may have – and above all main goal is to simplify the process, whether they've gone through it once or a dozen times. March 2019 by Bridget P.
Roberto Schimmenti is hands down my favorite! Roberto assisted me throughout the entire home-buying process. As a first time home-buyer I don''t know what I would''ve done without him. Roberto is funny and has the patience of an angel. He took the time to answer all of my questions and ensured that I loved my home before anything else. Roberto was there to resolve all of my qualms without hesitation throughout the entire process (trust me I wasn''t the easiest, I had a list of questions and was nervous beyond belief). If you''re in search for a home make sure you ask for Roberto, you won''t regret it! March 2019 by Asma B. Working with Roberto Schimmenti at Real New York exceeded any of my expectations. As a first time home buyer, I was not familiar with the terminology or the best process people to involve. Right away Roberto was incredibly friendly and took time to sit down with my partner and I to determine what would be a good fit for us. Roberto was willing to meet us late in the evening to view our condo and put together the offer letter within a couple days of our first meeting. He was very helpful in explaining the entire process and really relieved my stress level even though we were on a very tight timeframe. I truly believe his expertise helped tremendously in our offer getting accepted. I highly recommend Roberto! March 2019 by Moe L.
Roberto Schimmenti is amazing!! Not only was he helpful and super knowledgeable but he is also very sociable and a hard worker. Made the whole process of getting my first apartment smooth.